YouTube unveiled a new version of its video streaming app for offline viewing, dubbed as YouTube Go in September 2016. The primary purpose of YouTube Go was to provide offline viewing to viewers who do not have enough mobile internet data for loading online videos. 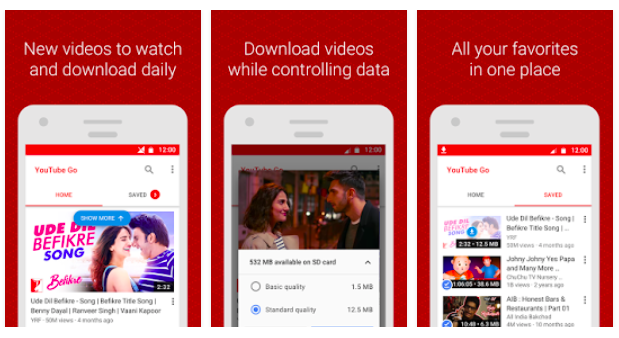 The YouTube Go app was also designed to help users who have low connectivity and are not able to play online videos on 2G connection. In the latest move, Google has listed the beta version of the app on Play Store India. This new version of YouTube Go enables users to download videos on their Android device and also save it on SD card. It could prove to be helpful for users who live in the low internet connectivity. It could also be pretty useful for the ones who are traveling to rural areas, as they can now download YouTube videos on their Android device for later viewing. It will also reduce mobile data consumption. How does YouTube Go work? After downloading the app from Play Store, users can search for videos on the app. There will be two options to download the video in different resolutions – “basic quality” for 144p resolution and “standard quality” for 360p resolution. Sadly, the app will not offer HD quality video download, which is understandable as YouTube Go was made to cater low connectivity areas and downloading videos in HD (720p) quality would take hours on 2G connectivity. Also, it will take more storage space on the device. Videos downloaded from YouTube Go beta can also be shared with friends via Bluetooth, but to start sharing videos, the device would need to go through a 15KB security check that will require internet connectivity. 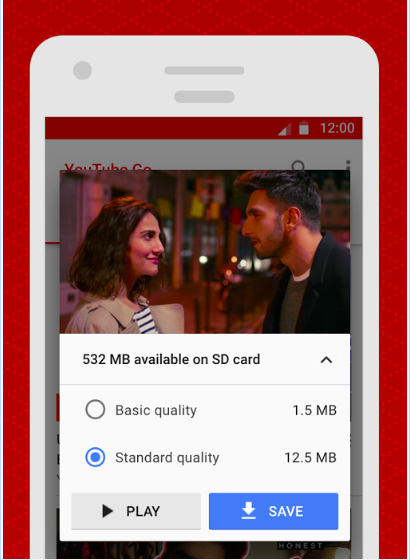 The YouTube Go app is just 8.5MB in size, and it also allows users to limit how many MBs are spent to watch or download videos. Once downloaded, the app asks for the user’s phone number for verification purposes. For now, the app is limited to India, but we expect it to become available for other regions as well. Maybe, for regions with good internet connectivity, YouTube could add 720p and 1080p video download option. Stay tuned with us for more news on YouTube Go.